Doctor Who Gets A New Assistant! 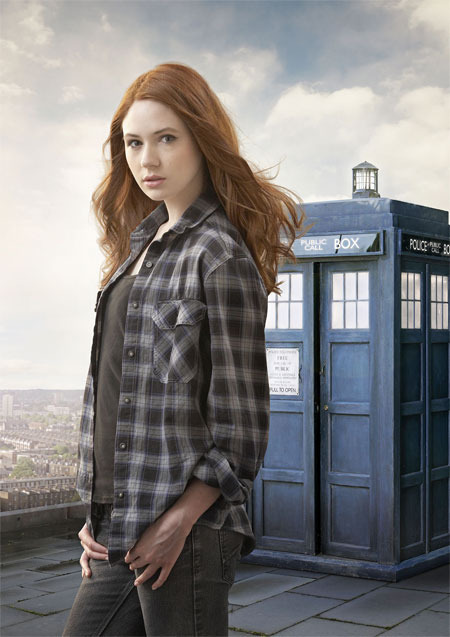 New doctor Matt Smith has found his first travelling companion, and her name is Karen Gillan. Nope, never heard of her either, but i honestly don’t see that as a bad thing. At least there won’t be as much complaining as there was when Catherine Tate joined as the Doc’s sidekick (although i think she worked out pretty well), and i trust new head honcho Steven Moffat to pick someone that can act, and will work in his vision for the new series. She’s 21, she’s a redhead, she’s Scottish, from Inverness and she’s extremely easy on the eye! Like previous assistant Freema Agyeman, Karen has already appeared in Doctor Who in the episode The Fires Of Pompeii where she played a Soothsayer. She trained at the Italia Conti drama school in London and landed her first role in the Scottish drama Rebus, however Who is her largest role to date.